Hatami, M., Fadayi, M. (2015). Effectiveness of Schema Therapy in Intimacy, Marital Conflict and Early Maladaptive Schemas of Women Suing for Divorce. International Journal of Advanced Biological and Biomedical Research, 3(3), 285-290. Mohammad Hatami; Mahnaz Fadayi. "Effectiveness of Schema Therapy in Intimacy, Marital Conflict and Early Maladaptive Schemas of Women Suing for Divorce". 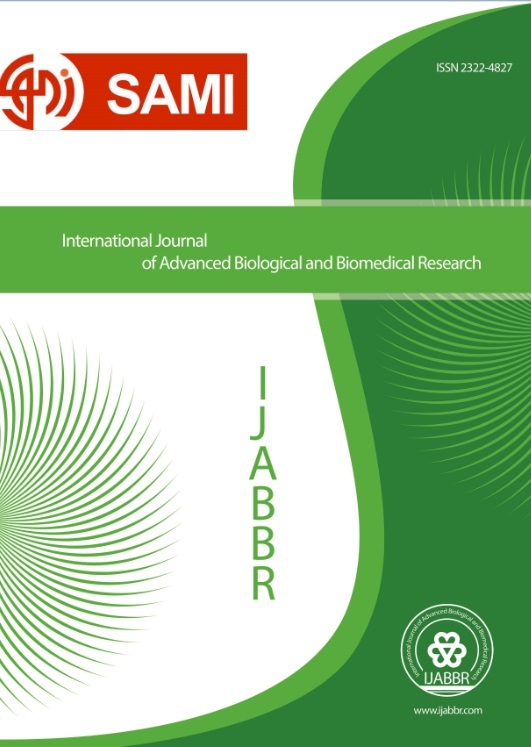 International Journal of Advanced Biological and Biomedical Research, 3, 3, 2015, 285-290. Hatami, M., Fadayi, M. (2015). 'Effectiveness of Schema Therapy in Intimacy, Marital Conflict and Early Maladaptive Schemas of Women Suing for Divorce', International Journal of Advanced Biological and Biomedical Research, 3(3), pp. 285-290. Hatami, M., Fadayi, M. Effectiveness of Schema Therapy in Intimacy, Marital Conflict and Early Maladaptive Schemas of Women Suing for Divorce. International Journal of Advanced Biological and Biomedical Research, 2015; 3(3): 285-290. Objective: Malfunction in the intimacy, marital conflict and early maladaptive schemas have always been considered as one of the principal reasons of couples’ divorce. Employment of effective therapies may help in the improvement of couples’ problems and decrease of divorce. Methods: The present research employed a single-subject research design and selected 3 women suing for divorce from among all the couples referred to family court centers. The research tools included Young schema Questionnaire Long form, Marital Conflict Questionnaire, Intimacy in Marriage Questionnaire and Marital Conflict Questionnaire. Results: Results indicated that schema therapy is effective in the increase of intimacy, decrease of conflict and early maladaptive schemas among the women who have sued for divorce.